Scandal is getting ready to end its fifth season on ABC, and there is already a sixth season on the way. However, news broke on Monday that Kerry Washington is pregnant with her second child, and that will complicate things for the series. Washington was pregnant during season three of the series. That cut her screen time considerably, and it forced ABC to cut down the episode order for season three to 18 episodes. TV Line reported that ABC made the move to cut the episode order for season six down to 16 episodes after her announcement. Another TV Line report stated that ABC could also delay a return of the series to 2017. The series would be a midseason arrival with all 16 episodes airing without a break. ABC has not officially announced these plans. Shonda Rhimes has teased in previous interviews that season six may end the series. Are you a fan of Scandal? Would you watch season six after a long delay? Check out a photo of Kerry Washington and her baby bump at the Met Gala in New York City last night. Tell us what you think. 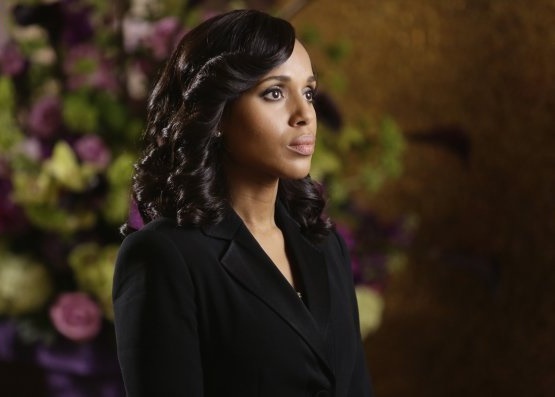 More about: Scandal, Scandal: canceled or renewed? Scandal: Cast Talks Endgame; Is the End of the Series Near? I would still watch this show after a long break! It’s a great show! I really Shondra does not make season 6 the final season, ABC just took two good shows off the air, that kept you wanting more of channel 7. I don’t know what is going on with this station, I think it’s time for a company reorg. I do hope if they cancel the series another station picks it up, There is nothing but horrible sitcoms on they have no story line to them. Ouch! Hate this idea of ending shows after people are stuck on them. Depending on the creativity of the ShondaLand crew and others, I see this show well past 8 seasons. Work “life happenings ” into the plot. Kerry’s pregnancy and somewhat reluctance to baby and family making on the show could fit right in. Having a baby with Jake vs the abortion idea with Fitz… See my drift? PLEASE don’t delay it and if you are going to end the outstanding series, let Olivia and Fitz get married and have their child be the ring bearer. I think Kerry Washington’s pregnancy may derail any plans to end “Scandal” with its sixth season. I think “Scandal” may end up getting a 7th season.